ADHD is most commonly associated with hyperactive young boys. But because of stigma and frequent misdiagnosis, girls and women suffering from the disorder aren’t getting the help they need. 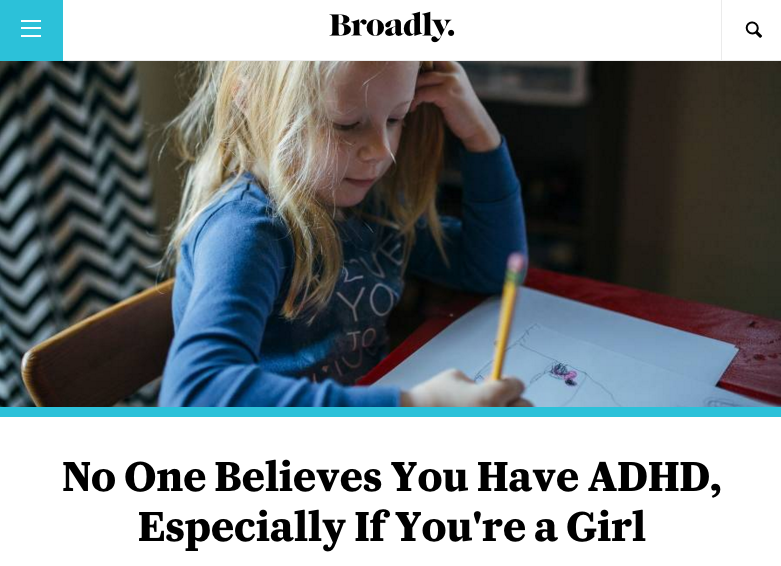 In this recent article, Gabby Bess from VICE’s new channel Broadly, invited Kaleidoscope Society founder Margaux Joffe to share her personal ADHD experience and her mission to empower other women with ADHD.